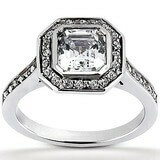 We have taken care of your engagement rush by creating a breathtaking collection of the Asscher Diamond Engagement Rings available in 14k or 18k yellow, rose, white gold or Platinum our pre-set diamond engagement rings are made to impress and for any budget: from unique engagement rings to solitaire engagement rings to very cheap engagement rings. 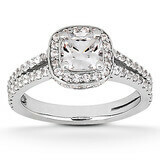 We have taken care of your engagement rush by creating a breathtaking collection of the Cushion Diamond Engagement Rings available in 14k or 18k yellow, rose, white gold or Platinum our pre-set diamond engagement rings are made to impress and for any budget: from unique engagement rings to solitaire engagement rings to very cheap engagement rings. 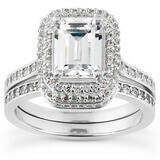 We have taken care of your engagement rush by creating a breathtaking collection of the Emerald Diamond Engagement Rings available in 14k or 18k yellow, rose, white gold or Platinum our pre-set diamond engagement rings are made to impress and for any budget: from unique engagement rings to solitaire engagement rings to very cheap engagement rings. 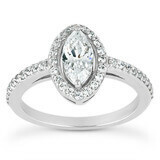 We have taken care of your engagement rush by creating a breathtaking collection of the Marquise Diamond Engagement Rings available in 14k or 18k yellow, rose, white gold or Platinum our pre-set diamond engagement rings are made to impress and for any budget: from unique engagement rings to solitaire engagement rings to very cheap engagement rings. 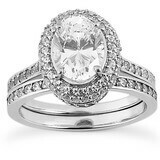 We have taken care of your engagement rush by creating a breathtaking collection of the Oval Diamond Engagement Rings available in 14k or 18k yellow, rose, white gold or Platinum our pre-set diamond engagement rings are made to impress and for any budget: from unique engagement rings to solitaire engagement rings to very cheap engagement rings. 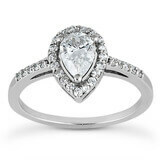 We have taken care of your engagement rush by creating a breathtaking collection of the Pear Diamond Engagement Rings available in 14k or 18k yellow, rose, white gold or Platinum our pre-set diamond engagement rings are made to impress and for any budget: from unique engagement rings to solitaire engagement rings to very cheap engagement rings. 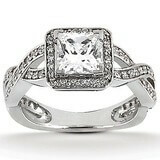 We have taken care of your engagement rush by creating a breathtaking collection of the Princess Diamond Engagement Rings available in 14k or 18k yellow, rose, white gold or Platinum our pre-set diamond engagement rings are made to impress and for any budget: from unique engagement rings to solitaire engagement rings to very cheap engagement rings. 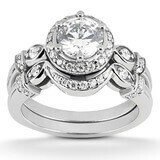 We have taken care of your engagement rush by creating a breathtaking collection of the Round Diamond Engagement Rings available in 14k or 18k yellow, rose, white gold or Platinum our pre-set diamond engagement rings are made to impress and for any budget: from unique engagement rings to solitaire engagement rings to very cheap engagement rings.